Historically the use of X-rays, (radiography) was the fundamental means of imaging patients. 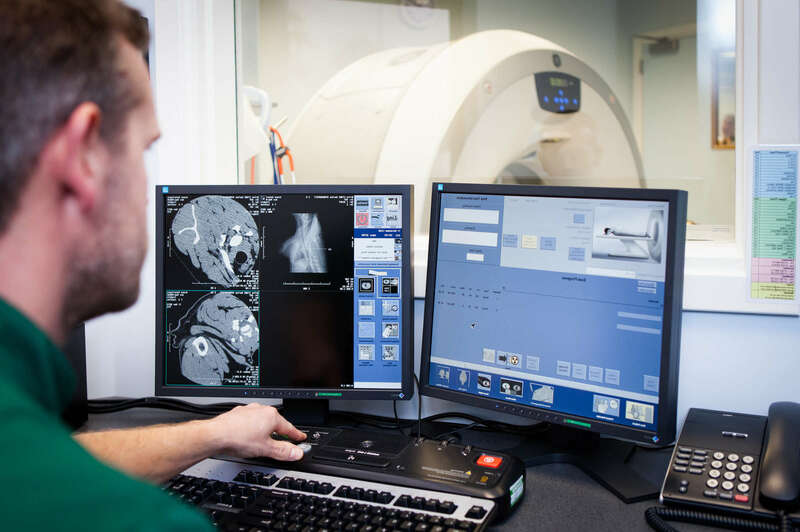 There is no doubt that radiography still has a major role to play in veterinary surgery and is often the primary and sole means of investigating many orthopaedic, spinal and soft tissue conditions. Contrast radiography expands the capabilities of standard X-ray by enhancing soft tissue structures and organs otherwise not clearly visible on conventional radiographs. Magnetic resonance imaging (MRI) is a computer assisted system that uses powerful magnetic fields and radiowaves to generate images of the body. It is most commonly used for neurological investigations of the brain and spinal cord, but also has wider applications in diagnostic imaging of other soft tissue structures and oncology. CT stands for computed tomography and is essentially an X-ray procedure where the tube head rotates 360 degrees around the patient. The X-ray beam used in CT is very fine in contrast to the broad beam used in conventional radiography. As it passes through the patient a series of Image ‘slices’ (as thin as 1mm) are acquired in the transverse (axial) plane. These images can then be reconstructed in alternative planes (sagittal and dorsal) and in 3D. 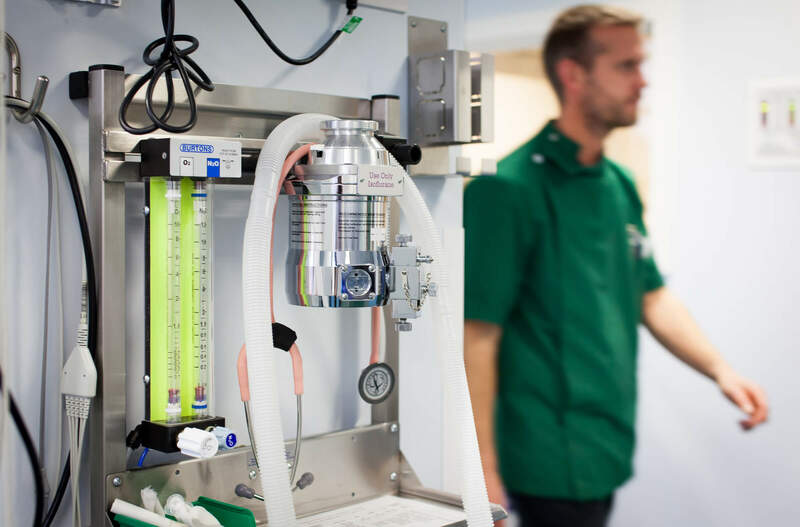 Radiography is the gold standard for investigation of many orthopaedic conditions and provides detailed images of bones and joints within the body. 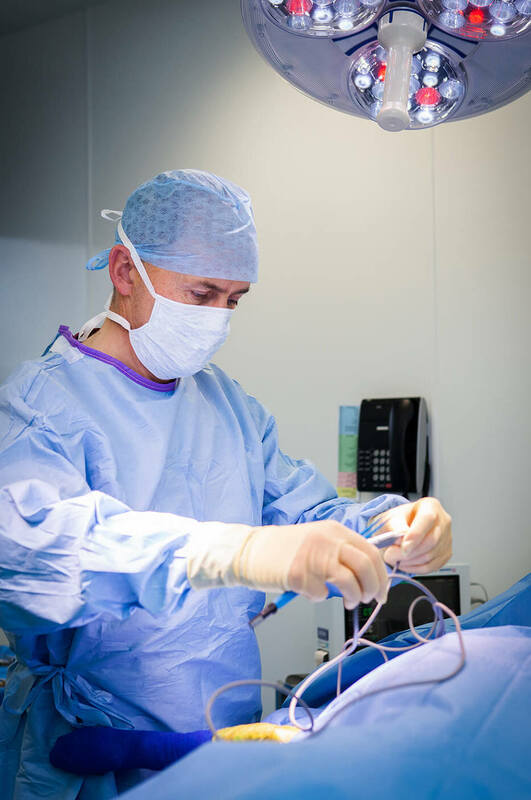 It is often the sole means of diagnosing many conditions and can often be performed using sedation rather than a general anaesthetic. This means that many patients can be discharged from the practice within several hours following radiography if no further treatment is indicated. 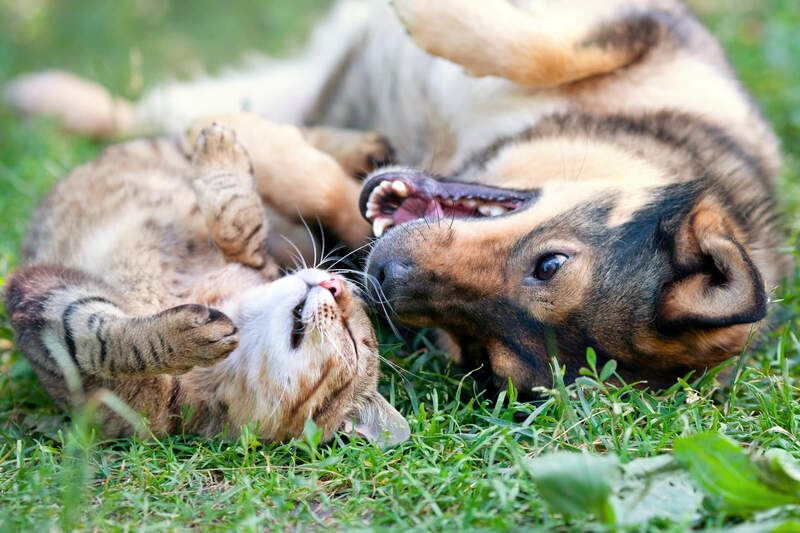 Radiography is also used to evaluate fracture repair/healing and follow-up many surgical procedures such as cruciate surgery. Ultrasound is a useful technique for evaluating soft tissues, however can be an adjunctive diagnostic tool for certain orthopaedic conditions as well as a valuable aid in diagnosing conditions of the eyeball and peri-orbital structures. Two high-resolution ultrasound scanners are available at The Grove with a 12.5hz linear sector scanner for the evaluation of tendon and ligamentous injuries. 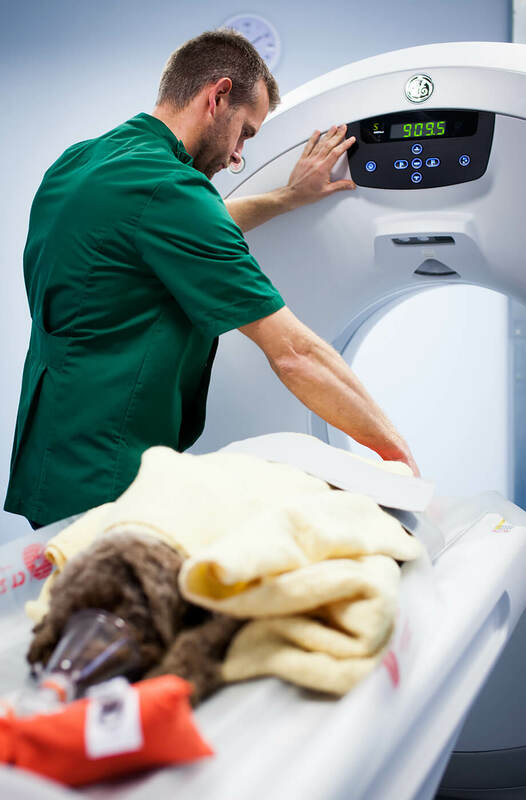 MRI (Magnetic Resonance Imaging) is a very advanced form of diagnostic imaging that enables radiologistists to obtain very detailed pictures of the inside of the body. MRI is particularly useful for looking at the brain and the spine where conventional x rays can only show us boney detail.